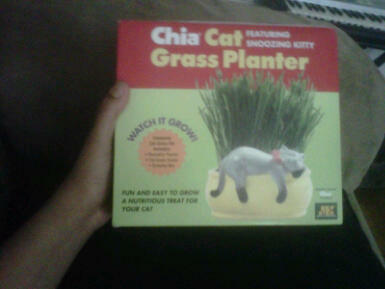 This Christmas my grandmother bought me 2 Chia thingies. I know this seems like an odd gift but I love it lol. I have only just started to attempt gardening. Last year I tried to grow a few things but the only plant that rose to the occasion was my Sweet Basil, which was DELICIOUS in my future preparations of spaghetti. I will definitely do that again this year. I will keep you updated on its progress!